Heat oven to 400°F. Spray large cookie sheet with Crisco® Original No-Stick Cooking Spray. In small bowl, mix mustard and cumin. Unroll dough sheets on work surface. Cut each sheet into thirds. Press each third into 7 1/2x4 1/2-inch rectangle. 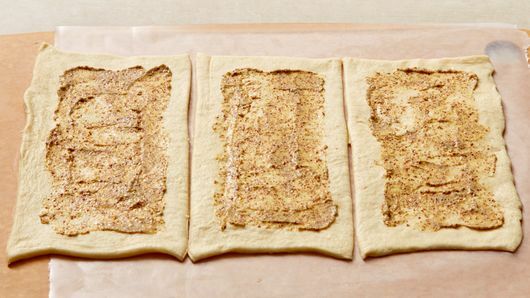 Spread mustard mixture evenly over each rectangle to within 1/2 inch of edges. 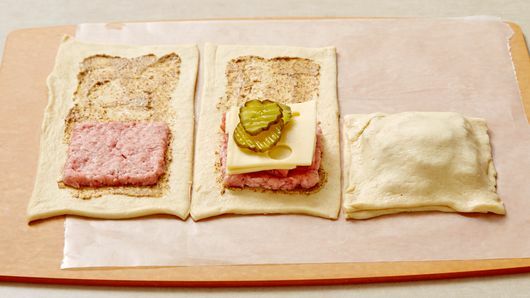 Shape pork into 6 (3-inch) squares; place over mustard on each rectangle. 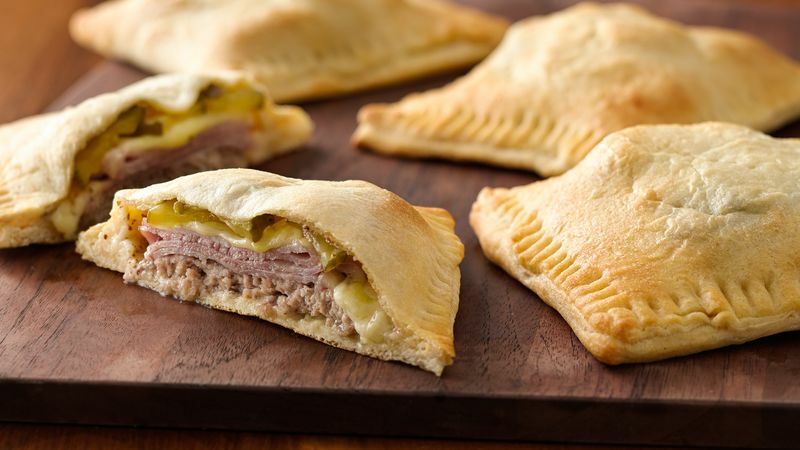 Top each pork patty with 1 slice ham, 1 slice cheese and 3 pickle chips. Fold dough over filling; press edges firmly with fork to seal. Prick top of each pocket 3 times with fork. Place pockets 2 inches apart on cookie sheet. 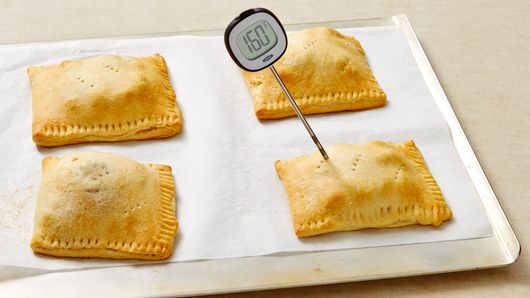 Bake 15 to 18 minutes or until golden brown and meat thermometer inserted in center of pockets reads 160°F. It’s easy to substitute crescent dinner rolls for the seamless dough sheet. Just unroll the dough and firmly press perforations to seal.